​Not long after graduating from the University of Kansas in 2009 with a Bachelor of Fine Arts, Britta McKee started her jewelry business hunched over a work bench in a cramped garage in Topeka. 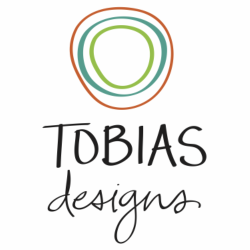 From those humble beginnings, "Tobias Designs" earrings, necklaces and cufflinks now reside in fourteen shops across five states - at least until a new owner makes them their own. McKee began, and remains active, in local and regional art and craft shows which offered her the opportunity to expose her work to the masses as well as ​earn her custom design orders. As her client base grew so did her list of accolades. Magazines and local models show off Tobias Designs jewelry, as does the Topeka Capitol building after commissioning McKee to design and create jewelry using recycled copper panels from its iconic dome. Her passion and dedication to her hand crafted work earned the 2013 Kansas City Accessory Designer of the Year and Kansas City Peoples' Choice - Accessory Designer of the Year award. ! Drawing inspiration from nature, raw materials and her rambunctious kids, Britta McKee, owner of Tobias Designs, invites patrons to interpret her work in any way their perspective offers. Utilizing layers of colors, detail, shapes and schemes, McKee masks and re-imagines her original design intents. The “straightforward complexity” ensures that wearers of her jewelry make it their own while, at the same time creating an identity for her work that strives for people to recognize, “That’s a Tobias Design piece."